Religious Services Ministry launches digital service for marriage registration, as part of a promised 'digital revolution' in the Ministry. The Religious Services Ministry launched the "digital religious council" today (Monday). Citizens will now be able to register for marriage licenses digitally. The service includes: receiving text messages and/or emails from the Religious Council offices, marriage certificate scanning, contact with the marriage department and more. The digital service, which has already begun operating in many of the municipal Religious Councils around the country, will make the process of applying for marriage certificates easier and faster, thanks to the efforts of the department of data digitization in the Religious Services Ministry and the "Malam-Team" group. Religious Services Minister David Azulay announced the launch of the digital service: "I am happy to declare to the Israeli public that we are embarking on a new path. A path of advanced technology for the improvement of our services, by making the service more accessible to the citizen. We have invested an enormous amount of work and resources in this project and this is only the beginning of the revolution in services for citizens in the Religious Services Ministry." 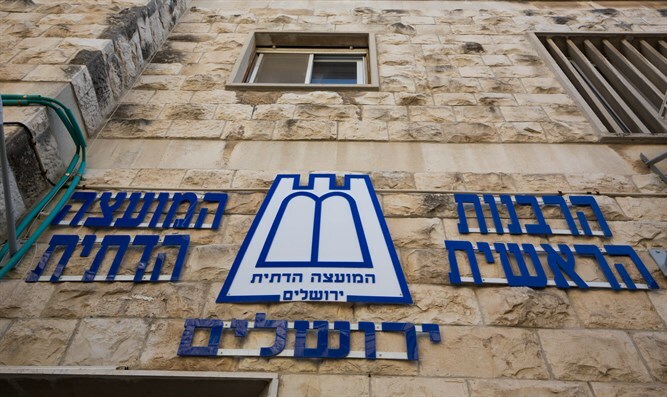 The new system is called "Shirat Hayam", and the investment in digitizing the 132 Religious Councils around the county cost the Ministry roughly 50 Million Shekels.